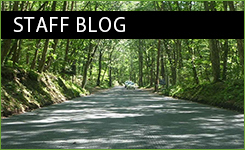 Q: What are the points to be careful when looking for properties in Karuizawa? 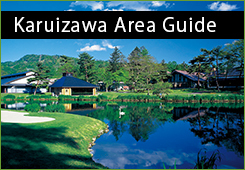 A: Karuizawa is located on the gentle slope of Mt. Asama at the southern mountain foot altitude of 950 m to 1200 m and has a unique natural environment and climate. The average temperature in Karuizawa in August is easy to spend at 20.5 ° C, and in July and August, a thick fog occurs around 20 days. This “foggy climate” makes it easier for the sensible temperature to cool down, but depending on the villa area it is damp and there are caution in building management. In winter, it is often below freezing and snow falls, so we need to grasp the snow removal of the front road in advance. In addition to the restrictions on building coverage, volume ratio, height etc. for each area of ​​use, there are provisions such as sediment-related disaster prevention law and nature protection measures outline etc. as caution points peculiar to Karuizawa, so be careful is. Also, when building on the slope of the mountain, a basic construction fee will be charged separately. When looking for land, it is better to check with a real estate agency that firmly grasps various building rules. Q: What area do you recommend to settle? 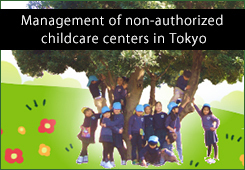 A: If you run anywhere in Karuizawa by car for about 10 minutes, you can access various facilities such as parks, hospitals, schools and nurseries, supermarkets, music halls It can be said that it is a place facing settlement. 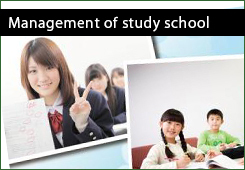 As a trend of recent years, if it is a family household, Nishi Karuizawa and Miyota areas are also drawing attention. The reasons are cheap in terms of land and prices compared to Karuizawa, good access to Saku and Karuizawa, few congestion in the summer, few points waiting for nursery schools, and so on. I think that it would be a good idea to make sunshine conditions, road congestion situation at peak time, snow removal situation, etc. a judgment material, regardless of retirement generation, residential area or residential area. In any case, under different conditions such as climate and time, it would be a good idea to visit the site several times and pick the property you actually liked. Q: I would like to purchase a villa, but the frequency of use is not so high. What should I do now? A: There are many people that busy villas purchased with great care are not readily available. In such a case, it is also an option to rent out at private residence only during periods that you do not use yourself. The villa has a high use frequency, the building will last a long time, and the rent will also be given during the period of lending. For operation, administration, cleaning, etc., it is also good to try each company that offers services at a clear price. Of course, it is also possible to introduce a trader by our company. Q: What are the characteristics of properties that are suitable for condominiums and private accommodations? A: First of all, there are criteria that Karuizawa-machi has adopted independently for areas and areas when it is possible for people to stay, so we need to adapt it. For properties, it would be desirable to have properties with appealing points that make it desirable that the borrowers want to stay, such as those with superior design, properties with an atmosphere like Karuizawa, good surroundings, etc. There is also a certain standard about the size and facilities, the number of people who can stay. Once the property has been decided, how to appeal to the borrower on the goodness of the condominium on the Internet becomes a point. We have accumulated various data such as estimated area vacancy rate by area, accommodation cost. Also, since I will tell you the tips for increasing the occupancy rate along with examples, please do not hesitate to consult us. Q: Please tell me about various expenses when purchasing real estate. A: When purchasing real estate, brokerage fee, real estate acquisition tax, registration fee, revenue stamp fee, property tax, administrative expenses (sale location, apartment etc. ), consumption tax (if the seller is a taxable corporation etc. ), Insurance premium (fire etc.) etc. various expenses occur. Although it can not be said unconditionally because it depends on the condition of buying and selling of each property, I think whether it is easy to understand if it thinks that a price of approximately 6, 7% of the purchase price of the property will occur separately. Q: I’d like to set up a loan, can I have a consultation? A: Yes, please contact us. We are pleased to introduce the mortgage and second house loans of affiliated banks so that you can purchase immediately if you really like it. 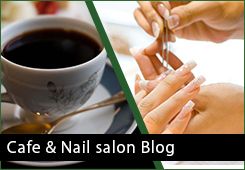 We will propose recommended items according to your budget, annual income, hope etc. Please use with confidence.